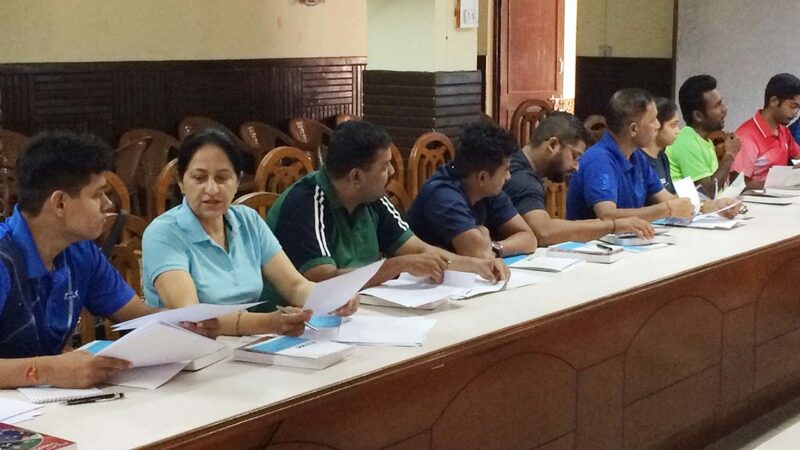 Commencing on World Table Tennis Day, Thursday 6th April and organised under the auspices of the ITTF Development Programme; the city of Ajmer, located in the northern Indian state of Rajasthan, was the home for an ITTF/PTT Level One Course which concluded on Monday 10 April. The course conductor was Christian Lillieroos of the United States. 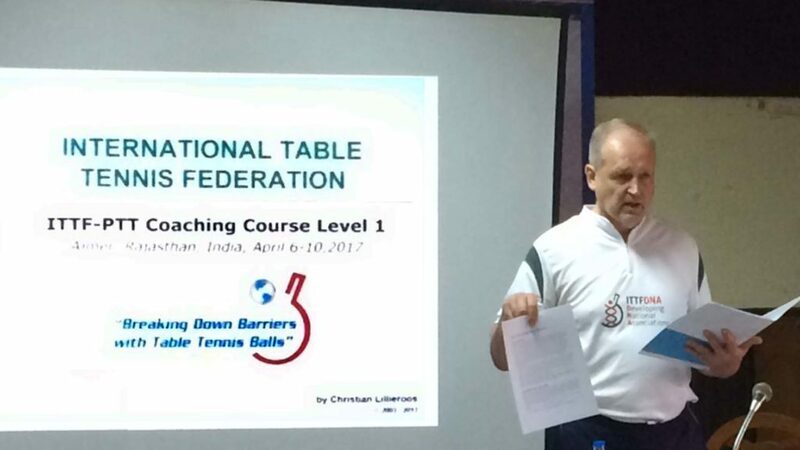 Most certainly it was a most appropriate day on which to start what was the first of seven such courses supported by Tenvic in collaboration with the Table Tennis Federation India. Tenvic was formed with the aim of enhancing the lives of people through sport; the founder being Anil Kumble, a now retired world famous cricketer, alongside Vasanth Bharadwaj, a renowned Indian table tennis player. In 2012, Ravikumar Srinivasan the Vice President of Tenvic and Vijay Krishnamurthy, the Head of Business worked alongside Dhanraj Choudhary, the Secretary-General of the Table Tennis Federation of India, to make the coaching initiative a reality. Currently responsible for table tennis, within the 120 employee strong sport management company, is Mohan Kumar; whilst present for the first few days of the course in Ajmer was Dr. Atul Dubey, a Blue Badge International Umpire who later left for Wuxi to officiate at the Seamaster 2017 ITTF-Asian Table Tennis Championships. Venue for the whole proceedings was the Petroleum Promotional Table Tennis Academy, a previous host for such events. Locally matters were organized by Anil Dubey, the President of the Rajasthan Table Tennis Association. Overall a total 26 coaches attended, travelling from many parts of India, Gujarat, Delhi, Mumbai Tamilnadu; notably some travelled 30 hours by train in order to attend. On the first day of the course, the students received an invaluable lesson in how to coach children with disabilities. They attended the Rajasthan Mahila Kalyan Mandal Sanstha School; an establishment that has both able bodied and disabled children on roll. Notably coaches who have gained the ITTF/PTT Level One certificate have the opportunity to gain paid employment in schools and similar institutions. Progress on the coaching from; there is also progress on the playing front; later this year in July a Professional Table Tennis League is planned. Six franchises are planned, high salaries with both male and female players involved in a unique format which will also involve players from foreign shores competing.